Need your daily fix of free apps? We’ve handpicked 27 iPhone, iPad and iPod touch apps that are free today only. 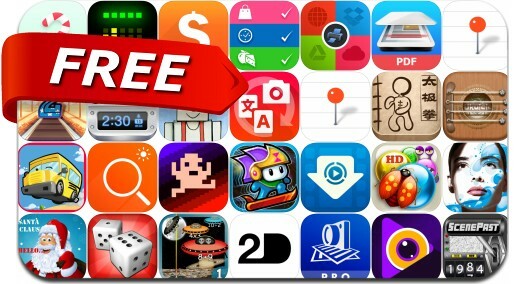 This apps gone free alert includes Potatoman Seeks The Troof, Backgammon Premium, 2D - Paint Draw Sketch Collage, CoolPixel - Amazing Video Editor, Parkbud - Parking & Travel Guide and many others. Coolpixel is not only a powerful and easy-to-use video recorder but also an awesome video editor: * It can record video and edit videos via importing. * It offers advanced and best editing functions including making accurate cutting and combination by dragging, adding subtitle, adding sound and adding abundant filtering effects.